The Parlux 3200 Compact - Silver is a powerful yet lightweight dryer that boasts a 1900 watt, AC K-Lamination motor and an airflow of 69 cubic metres per hour. Weighing in at just 490 grams and measuring just 20cm, it's easy to hold and control, whilst the 4 temperature settings and 2 speed settings make it suitable for any hair type. Please Note: Supplied with a UK 3 pin plug only. 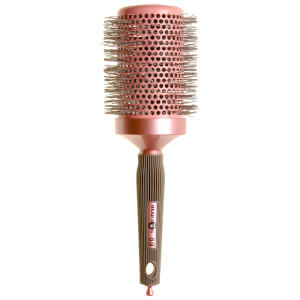 Receive a FREE Head Jog Pink Ceramic Ionic Radial Brush 80 with any Parlux purchase.